besides this grief of leaves. with a certain kind of light. that pulls them through this quilt of loss. This poem first appeared in Fox Cry Review. Jeanie Tomasko is a home health nurse in Madison, Wisconsin. 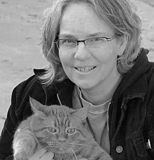 Author of (Prologue), If I Confess Before 5:00, Sharp as Want, a poetry/artworks collaboration with Sharon Auberle, and Tricks of Light, she has three cats and enjoys all things nature, especially birds and long walks. Learn more about Jeanie at www.jeanietomasko.com. Fresh,evocative images and feeling. 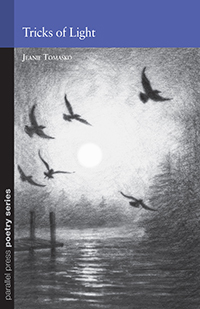 I always expect something special when I see Jeanie's name on a poem,and this one is so perfect with its images and mood. "branches ache" "cold ebb of light." wonderful! Thank you! Ah, Jeanie, I am sharing this with friends! such a fine poem,Jeanie- that almost November ache described so well. Yes, imagery and language to love. You've captured that ache but also the beauty. Wonderful poem, Jeanie. the quilt of loss. Lovely. Imagery and language to love. Thank you, Jeanie. You have touched the ache of winter with such grace. Even on the west coast, I feel the 'winds dependable as breath'. Thank you. Absolutely love this poem. Thank you. I love it. Kind of wistful. This poem will help me as I watch the wind blow another bounty of leaves to rake, thanks Jeanie for this wonderful poem. One of the finest poems I've ever read. 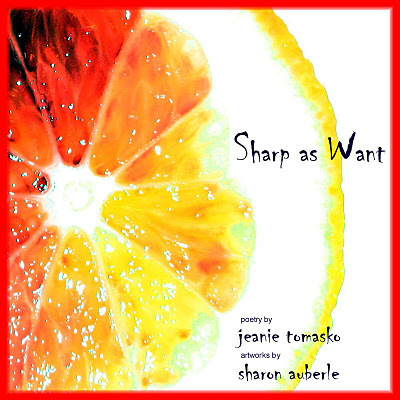 the perfect morning to read one of your perfect poems...beautiful, Jeanie! stunning! I esp. love this line... There must be a needle in the heartwood that pulls them through this quilt of loss. A wonderful accumulation of language.